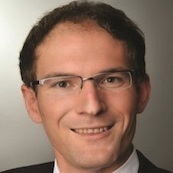 Wolfgang Kiener (M.Sc.) heads up the Center of Excellence for Threat Management in the Cybersecurity department of TÜV Rheinland. He is responsible for the strategic service development in threat management and operational technology security (industrial security). With more than 15 years of professional experience in major international corporations such as Siemens, T-Systems, Verizon and CSC, Wolfgang boasts extensive experience in the development of innovative security services taking into account technological and commercial aspects. He holds a number of IT and security certifications such as CISSP, CISM, CCSK, ITIL, ISO 27001 Lead Implementer und GIAC.